West Town Court is located near numerous employers, retail establishments, and entertainment centers. Built in 2009, the community comprises one-, two- and three-bedroom residences. 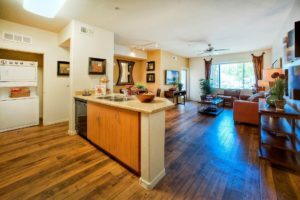 A partnership between Citymark Capital and InterCapital Group acquired West Town Court, a 274-unit multifamily property in Phoenix, Ariz. The asset is located at in West Valley at 8400 West Virginia Ave., near numerous employers, retail establishments and entertainment centers. Situated on a 16-acre lot, the 2009-built community consists of 22 buildings with one-, two- and three-bedroom floor plans, averaging 853 square-feet. Amenities include a fitness and business center, swimming pool, clubhouse and full covered parking with a total of 512 spaces, according to Yardi Matrix. West Town Court is currently managed by DayRise Residential. “This aligns with our national platform of investing in leading U.S. markets and taking a disciplined approach to generating solid returns for our investors,” said Dan Walsh, founder & CEO of Citymark Capital. 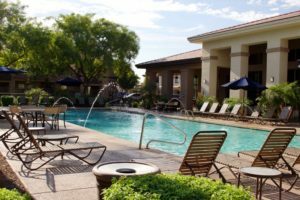 The firm recently invested in River Edge, a 100-unit New Jersey multifamily property and in the Villas of Vista Ridge, a 323-unit asset in Dallas.